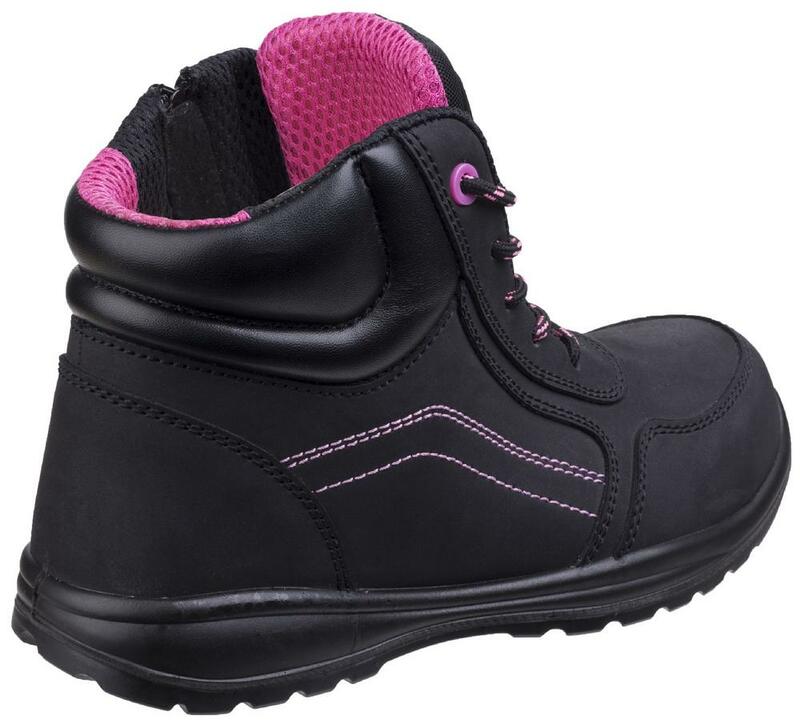 Safety boot with a touch of pink and shaped to best fit the female foot shape, flexible and lightweight. Entirely constructed with non-metallic components is fully scanner safe and suitable for metal-free work environments. 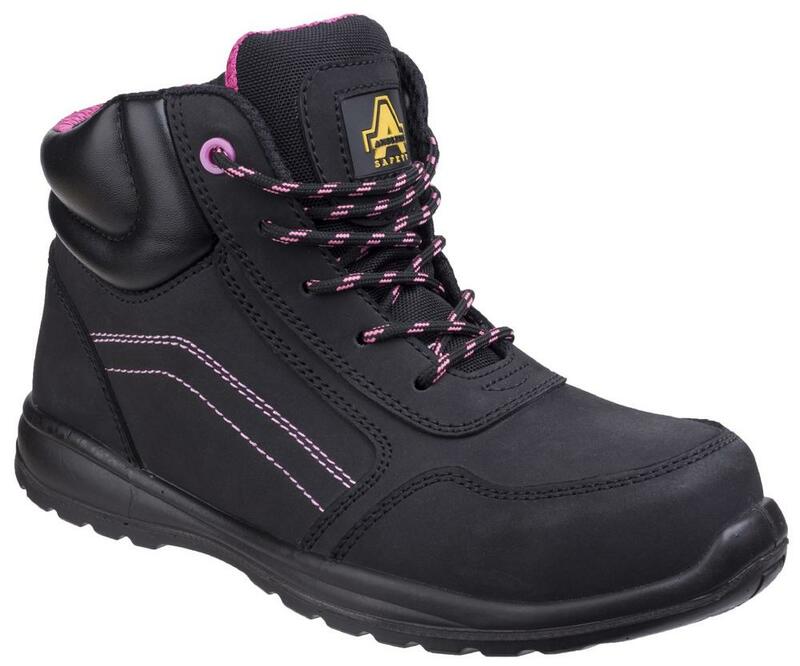 Lace up front with five eyelets and industrial strength black\pink cord. Moisture wicking mesh lining prevents the build-up of odour. Deep padded PU collar helps keep debris out the boot as well as providing comfort and support around the ankle. Scuff cap toe and heel reinforcement for extra protection and duration. Composite toe cap protection tested to 200 joules impact and Penetration resistant composite midsole plate tested to 1,100 Newton. Dual Density injected PU outsole is lightweight yet hardwearing and ideal for use in a variety of environments, offers exceptional abrasion resistance and is ideal for environments where oils and solvents are used. 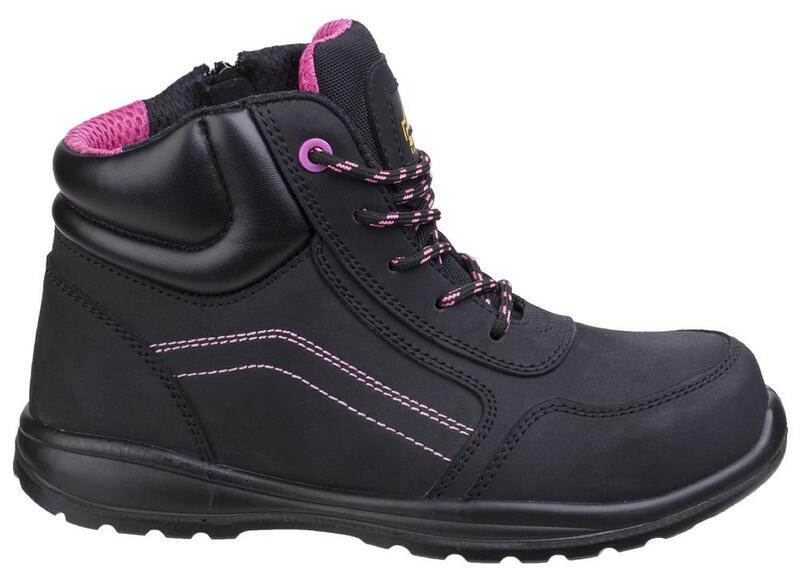 Amblers AS601C Lydia Ladies Safety Boots conforms to: EN ISO 20345:2011 S1-P SRC. Cushioned flexible nylon mesh tongue.